“We’re excited to immerse guests into the wonderful underwater world of axolotls and witness the super powers that make these creatures so fascinating, rare and loved by popular culture,” said James Paulding, General Manager at SEA LIFE Orlando. Visitors will come face-to-face with the rare creatures and learn firsthand all about the Axolotl and other inhabitants that live under the waters’ surface. Exploring sub-tropical surroundings, the experience guides guests through the shadows of a once great Aztec village, with immersive visual, audio and hands-on interactive play designed to encourage curiosity, discovery and action. For more information about The Last Dragons exhibit, go to VisitSEALIFE.com/Orlando. SEA LIFE is the world’s largest aquarium chain and SEA LIFE Orlando is the 50th location aquarium launched in the world and the 8th in the U.S. SEA LIFE Orlando is located at 8401 International Drive in Orlando, Florida, inside I-Drive 360, the entertainment and dining complex which is the home of the 400-foot Coca-Cola Orlando Eye observation wheel and celebrity wax attraction Madame Tussauds Orlando. 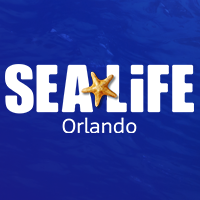 For more information, go to www.visitsealife.com/orlando.